Mexico charges for the use of its airspace and for ATC over-time when pilots use a Mexican airport after hours. Regulations are published in Mexico's tax code, not in their Aeronautical Information Publication (AIP) and therefore do not appear in any international aeronautical publications. Airspace fees are calculated based on the wingspan of the aircraft and NOT on weight. Mexico does not issue an invoice to advise pilots that they have incurred a fee. It is the pilot's responsibility to determine the amount owed and to make payment. Airspace and over-time fees can only be paid via a Mexican bank. Consequently, many pilots are unaware that they owe these fees and over time these fees accumulate interest and back charges. Pilots should be aware that if, during the last 10 years, they made a flight through Mexican airspace that neither took off nor landed in Mexico, they are subject to airspace fees. I have been over-flying Mexico for years and no one has ever mentioned anything like this nor have I received any invoices. Where did all this come from? Mexico has had regulations for paying over-flight fees for years. 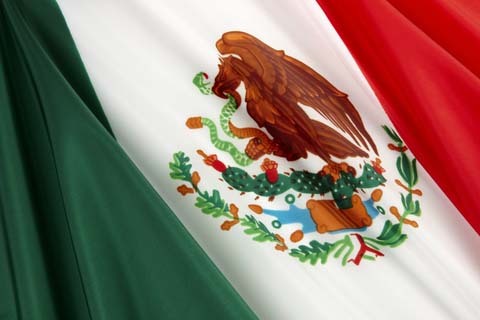 However, they were not strictly enforced until the Mexican tax code was changed in December 2011. Since these laws are not published in Mexico's AIP, they have not made their way into third party aviation publications. I have been flying to Mexico for years, do I owe any fees? If all of your flights that went through Mexican airspace began or ended at a Mexican airport, you do not owe anything, even if you did not buy fuel while you were in Mexico. Only flights through Mexican airspace that did not either begin or end at a Mexican airport are required to pay. I live in Texas and to reduce my flying time when flying from one airport to another near the border I have been cutting through Mexican airspace. Do I owe anything? More than likely, YES. Since you flew through Mexican airspace and did not take off or land at a Mexican airport then you are liable for airspace charges. When I have flown to Mexico and have purchased fuel I have been charged a SENEAM fee. What is this? The SENEAM fee, often referred to as the wing tax, is the fee that is applied to aircraft flying within Mexico in lieu of having to calculate distances and make individual payments to the Mexican government. We asked for permission to arrive after hours at an airport in Mexico and we were charged over-time fees at the airport which we paid. Do we still owe something? Although the DGAC and the airport charge for over-time on the spot, SENEAM is forced to charge for their fees through the current tax system. Even customers who used a handler should check that they do not owe something as most handling companies were not making these payments either. I was unaware of these regulations and I am sure that I owe the Mexican government for previous flights. How do I find out how much I owe and how can I make payment? The Mexican government cannot publish an official list. You will need to consult with an aviation group that has a working relationship with SENEAM, like FltPlan, who can inquire as to your debt and make the payment on your behalf. I have made a lot of flights through Mexican airspace and never paid anything. What happens if I ignore this and do nothing? Since December of 2011, SENEAM has been forced to implement this law in its entirety and to advise the Mexican tax authorities of outstanding debtors as well as publish a list of these aircraft to all ATC centers and towers throughout the country. If your aircraft is on this list and you attempt to enter Mexican airspace you could be denied entry and forced to fly around the Mexican FIR. A number of aircraft have faced this scenario. To determine if you owe fees to the Mexican government and how much is owed, including applicable interest and CPI adjustments, contact FltPlan at 203-262-8900.